An employee retirement plan is a type of savings plan that is sponsored by an employer. These plans are set up to offer employees an easy way to save for the future. They can vary in size and scope depending on the structure of the company. 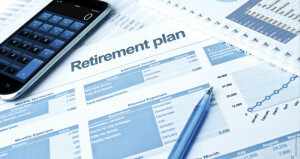 It is vital for employees to understand the type(s) of retirement plans that are offered. An Individual Retirement Arrangement, or IRA, represents a type of employee retirement plan that is commonly offered by small businesses. In this type of plan, the employee sets up their and manages their own IRA. The business then allows employees to contribute to this plan pre-tax through a payroll deduction, according to the IRS. This is an easy choice for businesses as it costs little to operate. However, employees also have little to gain from this plan as there is no employee contribution or guidance. While a payroll deduction IRA gives employees easy access to an IRA, a SIMPLE IRA is an employee retirement plan that allows contributions from both employees and employers, according to the Department of Labor. Indeed, the term “SIMPLE” is an acronym for Savings Incentive Match Plan for Employees. Taken at face value, SIMPLE IRAs allow the employer to mirror the amount contributed by the employee, up to three percent of total compensation. However, when a SIMPLE IRA is implemented, the employer contributes even if the employee does not. This is an upside for low-wage employees, but it is still privy to the IRA limits set forth by the federal government. Arguably the best known type of employee retirement plan is the 401(k). This type of plan allows employees to contribute pre-tax income to an account that is set up by the employer. These plans can greatly vary, though most do allow employees to have some ability to make decisions about their investments. Employers may or may not have matching programs that aid their employees in saving for the future. Similar to the 401(k) is a 403(b), which is exclusively available to schools and not-for-profit institutions. From the employee’s perspective, there are very few downsides to employee retirement plans. Each of these plans provide the opportunity to save. Employee contributions are not mandatory, yet in some instances employer contributions are. The only possible downside is that money is no longer available for use once it is invested in an employee retirement plan. While employees may remove their saved funds for certain emergencies, in nearly every case the money that is withdrawn will be heavily taxed. Conversely, employers may find a few drawbacks with each type of plan. There is more expense and paperwork for these plans, which can lead to lost hours and dollars. However, the added benefit of an employee retirement plan often allows companies to hire better quality employees who have a longer retention rate. This saves everyone money in the long run. An employee retirement plan is a vital component of any type of employment. These plans allow employs to prepare for the future with little-to-no sacrifice to the present. An employee retirement plan should be as carefully thought out and considered as salary and all other benefits when changing careers.